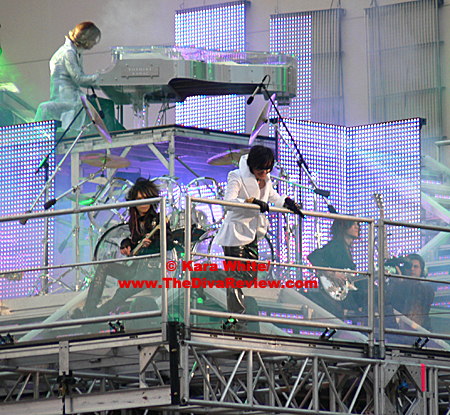 Hey, Boys and Girls, how good 2010 has been to us already. 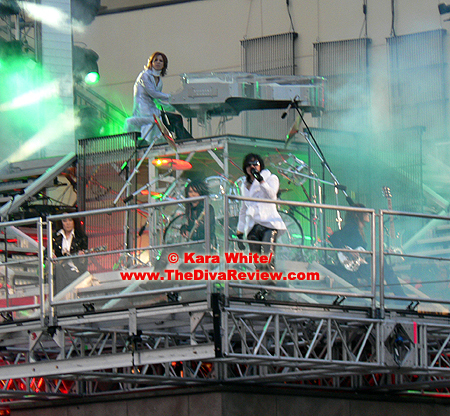 We are so thrilled to have in our humble dojo Agents K & J, A.K.A. 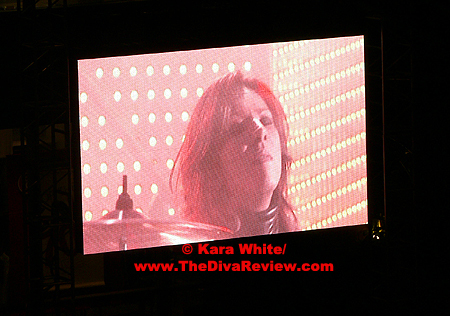 Kara White and Joe Gago. 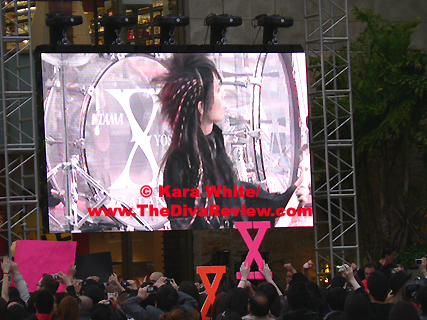 Kara was a huge help with our Dir En Grey event and now these two super-ninjas are infiltrating J-Rock royalty, invading the set of X-Japan’s music video shoot in the heart of Hollywood. 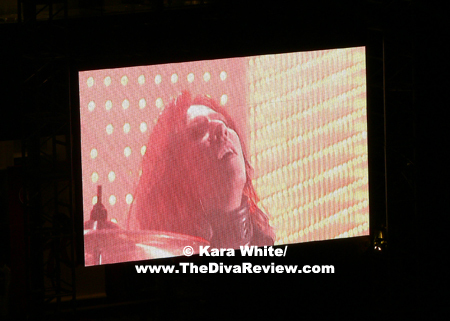 Kara has graced us with her impressions of the glamourous proceedings! 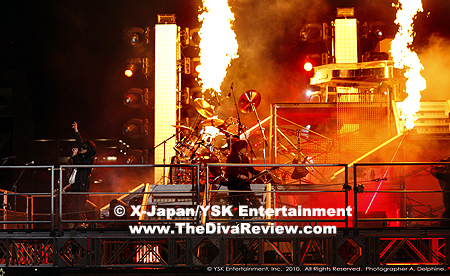 3, 2, 1 - X-Jump! 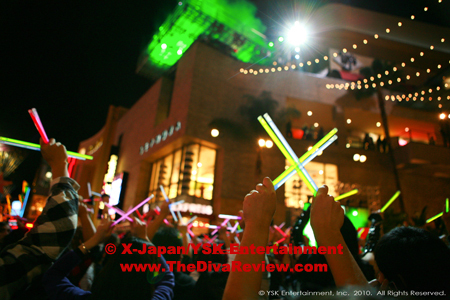 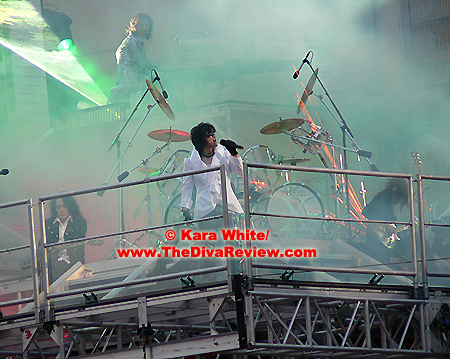 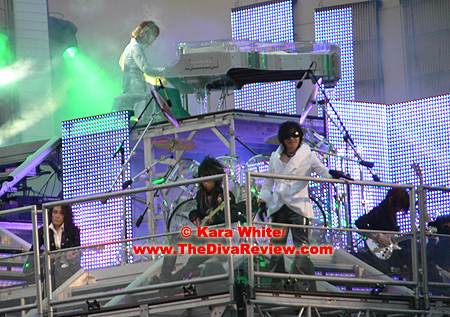 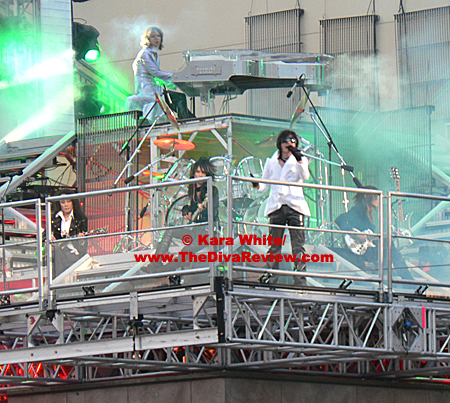 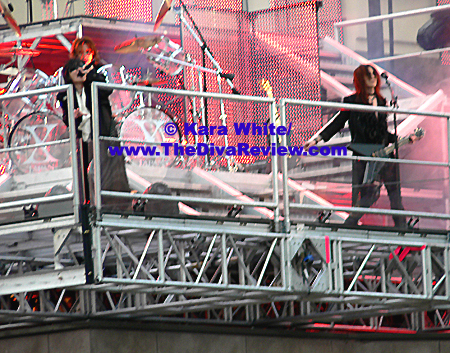 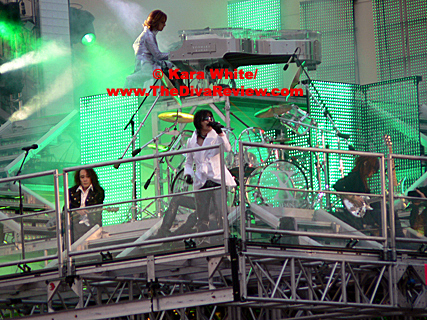 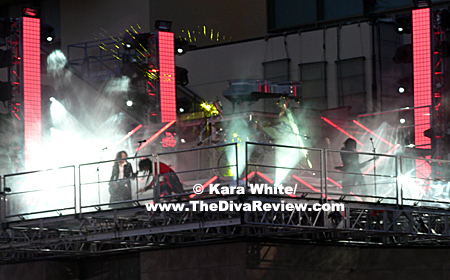 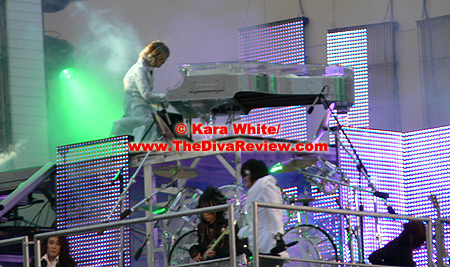 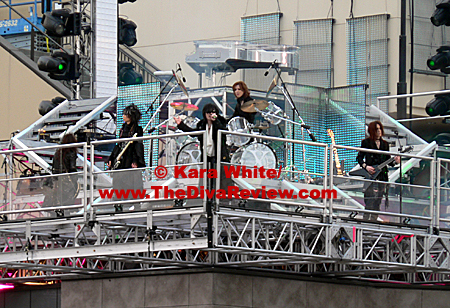 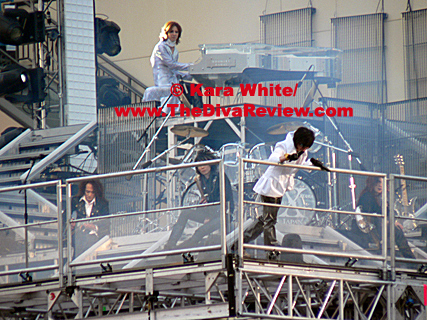 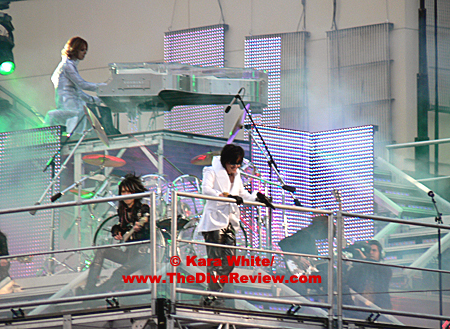 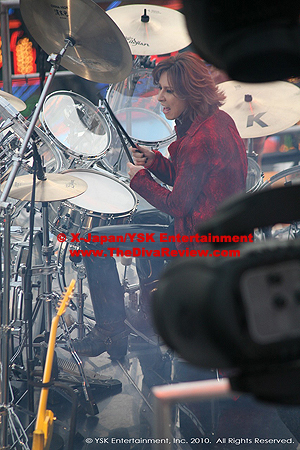 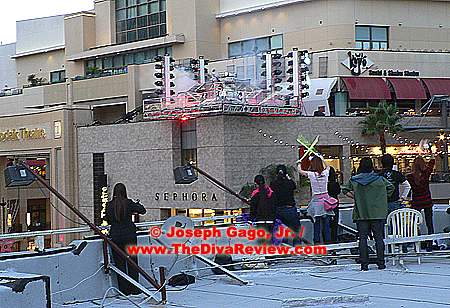 On January 09, 2010, hordes of devoted fans gathered from all over the US; Washington, New York and Florida and as far away as Japan to hopefully catch a glimpse of the legendary Japanese rock group, X-Japan, as they filmed four music videos in Los Angeles, California. 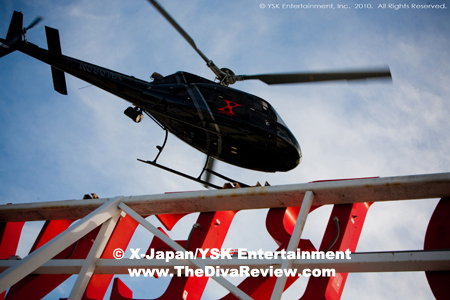 For those who may be unfamiliar with the band, X-Japan’s status and popularity in Asia is on par only with such Western acts as The Beatles, The Rolling Stones or Michael Jackson. 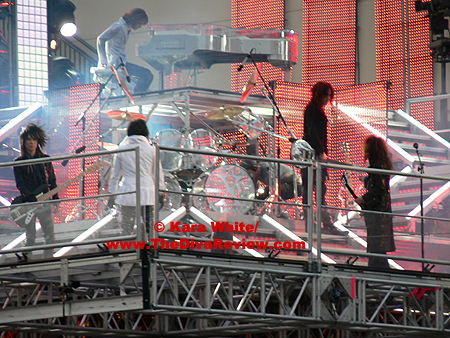 Formed in 1982 by drummer Yoshiki Hayashi and lead singer Toshimitsu "Toshi" Deyama; guitarists Tomoaki "Pata" Ishizuka and Hideto "hide" Matsumoto joined shortly after, along with bassist Taiji Sawada, who was replaced in 1992 by Hiroshi "Heath" Morie. 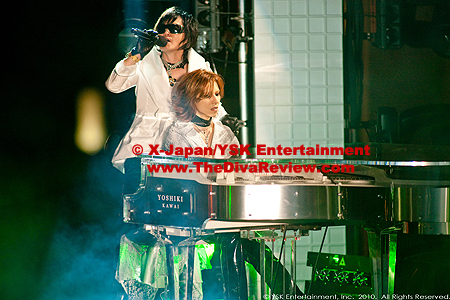 In 1997, at the peak of X-Japan's fame, the band announced their breakup. 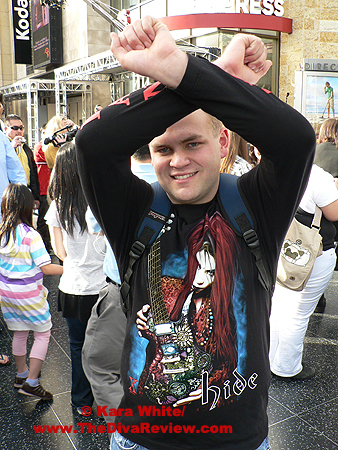 Still, their fans’ hopes for a reunion remained strong until the untimely death of hide in 1998. 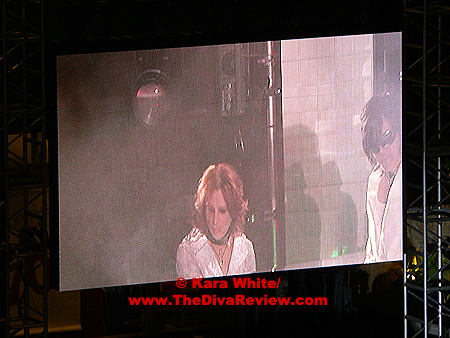 The band did finally reunite in 2007 for a one-off single, I.V., for the Saw IV soundtrack and were joined by Luna Sea guitarist, Sugizo in 2008 for a series of concerts memorializing the passing of hide. 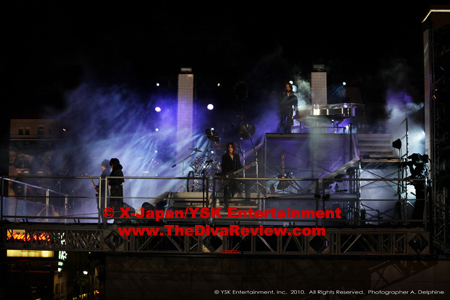 What made this video shoot such a historic event is this is the first time in the band’s long history that they have ever made a public appearance as X-Japan on US shores. 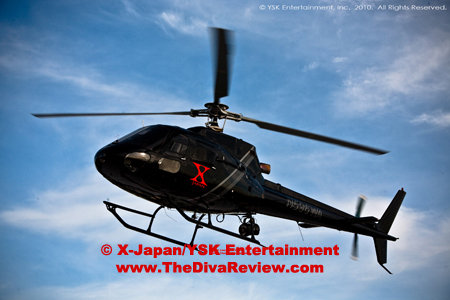 X-Japan has been known to cancel their events on short notice, and this shoot was not announced until a mere eleven days before the scheduled date. 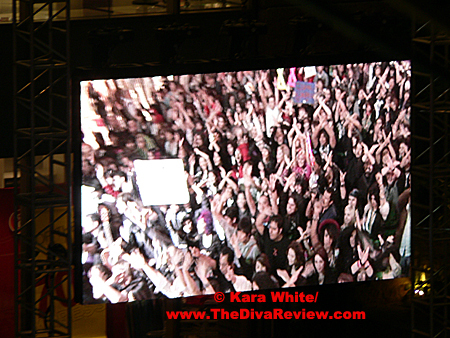 Over five hundred dedicated fans stood waiting in anticipation not even sure if the production was in fact going to take place. 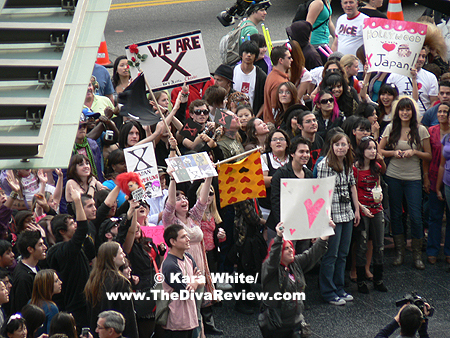 Some fans were quoted saying, "I have waited a really long time to see them, and I really hope they do not cancel again,” and “There is about a ninety-percent chance this event will be canceled, but well worth the wait to see.” After a few hours of patiently waiting, you could hear the roar of pure shocked, amazed and ecstatic fans as X-Japan took the stage. 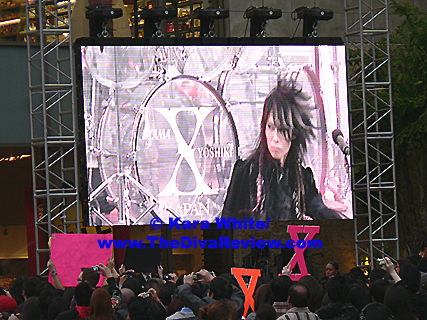 X-Japan held this massive event to film videos for their past songs: I.V., Endless Rain, Jade and Rusty Nail. 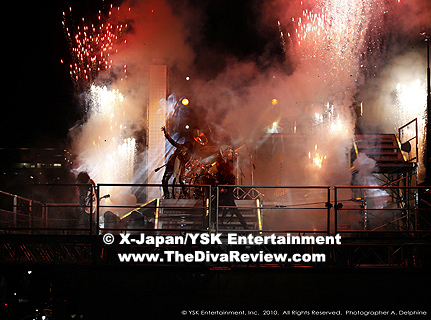 Each song was accompanied by an energetic band, scorching flames, X-Japan helicopters, laser lights, and beautiful pyrotechnics all set on top of an elevated glass stage. 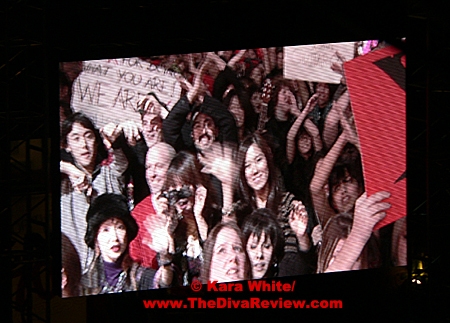 One thing that did not come as a surprise was how wonderfully each member was dressed. 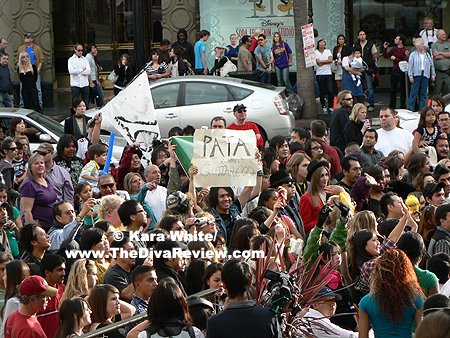 Each one sporting clothing that best represents them as a person; as well as showing the diversity of the band as a whole. 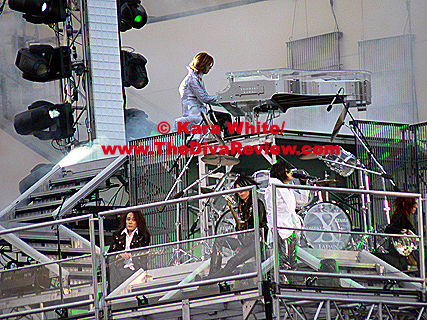 From Sugizo dancing and playing guitar as flames were shooting in the air around him, to Yoshiki playing the piano beautifully and showing a hint of shyness by playing coy with the camera during close-ups, obviously tugs at the heart of many different types and styles of fans. 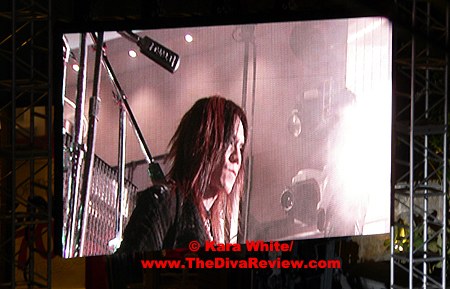 Although hide is no longer with us, the band made sure not to forget nor exclude his presence in any aspect as they played memorial videos on huge screens, as well as placing his famous yellow guitar emblazoned with red hearts on stage during this rare event. 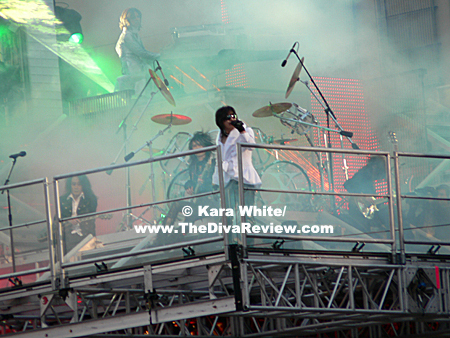 The band’s interaction with the crowd was minimal, but did not go unnoticed; waving to fans on a roof across the street as they screamed out their names, peering over the railing and tossing some cooling water upon the tightly packed crowd below. 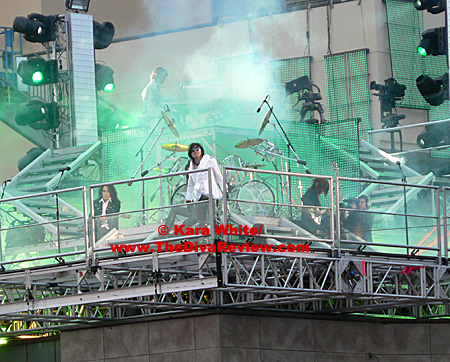 Fans ranged from young, spunky metal-loving teens, to petite, older Japanese women who waved their hands in the air delicately to Endless Rain. 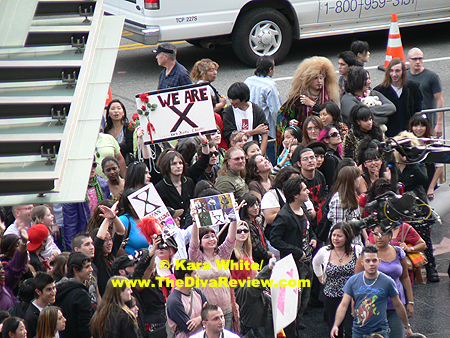 X-Japan defiantly brought a quite diverse group of people together to enjoy this rare moment. 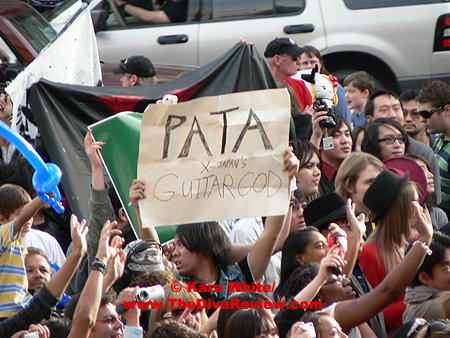 No matter what genre fan you may be, they all have the same question in mind; ‘Is this a sign of a big announcement from the band?’ We all hope to find out soon. 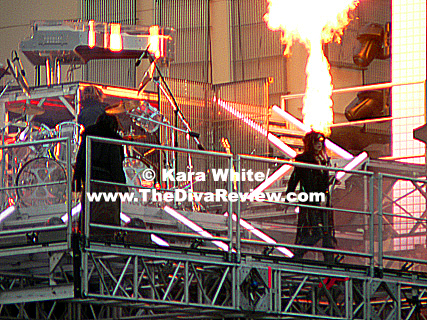 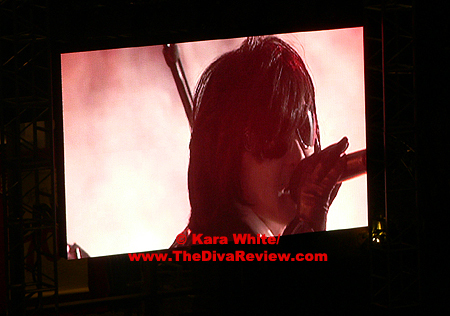 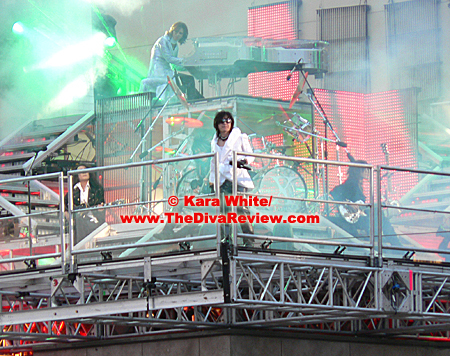 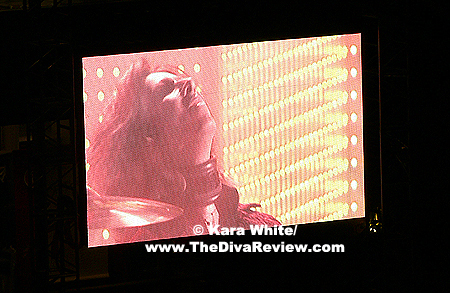 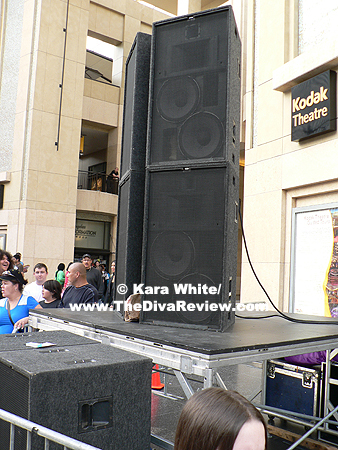 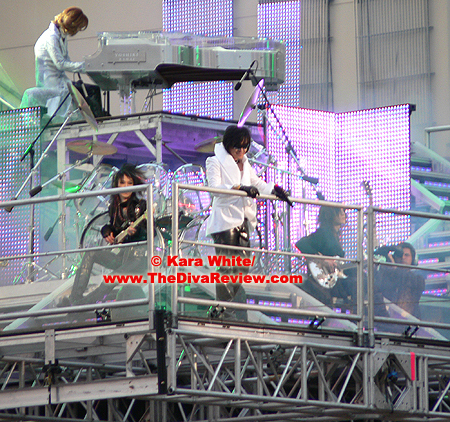 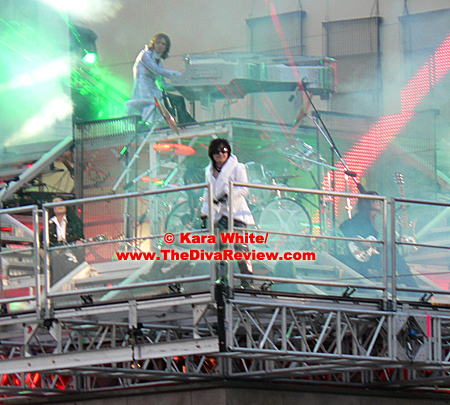 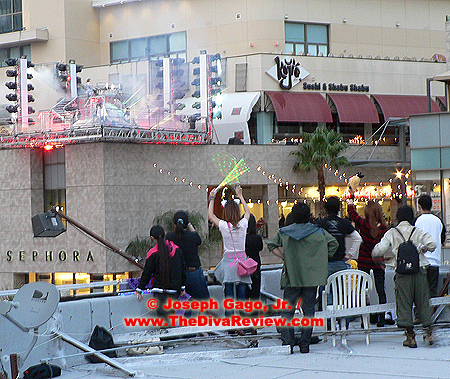 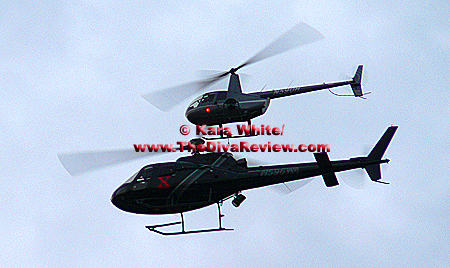 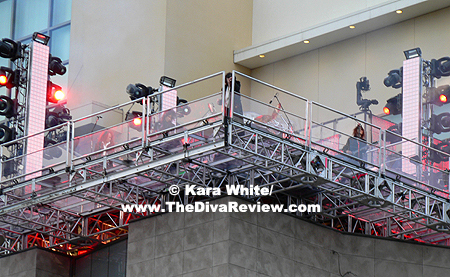 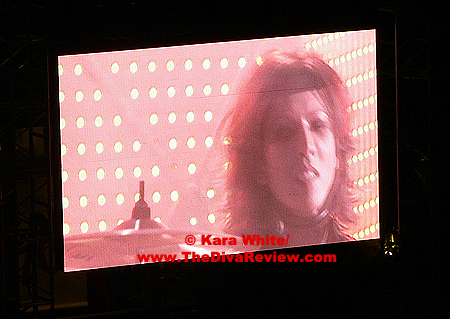 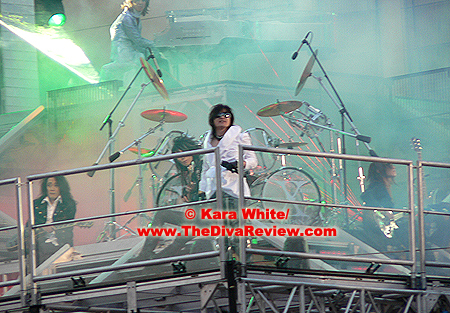 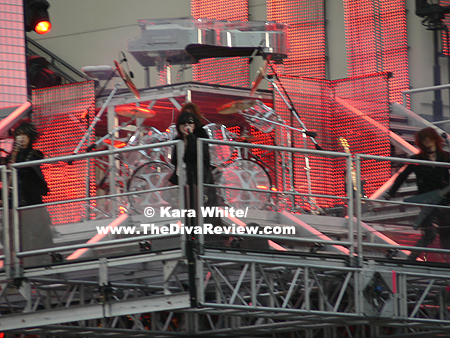 Here's The Diva Review's Exclusive footage filmed and edited by Ms. Kara White, featuring X Japan's JADE. 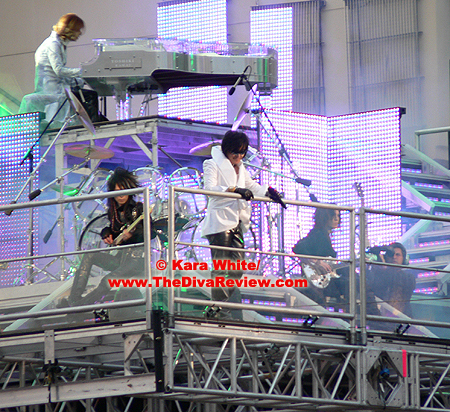 Exclusive photos by Kara White and Joe Gago.